Solutions for Facilities Management | deister electronic UK Ltd.
How can deister help facilities management companies? deister works with facility management organisations to provide a range of solutions to improve operational efficiency whilst reducing costs. The responsibility for a clients’ facility and its assets may make you accountable for any losses and damages during your management. With deister’s solutions, you can dramatically reduce the losses and damages associated with many of your basic day-to-day processes. From key and equipment issuing to providing building or vehicle access, our systems log all tasks executed so you can trace back any issues to the last user. 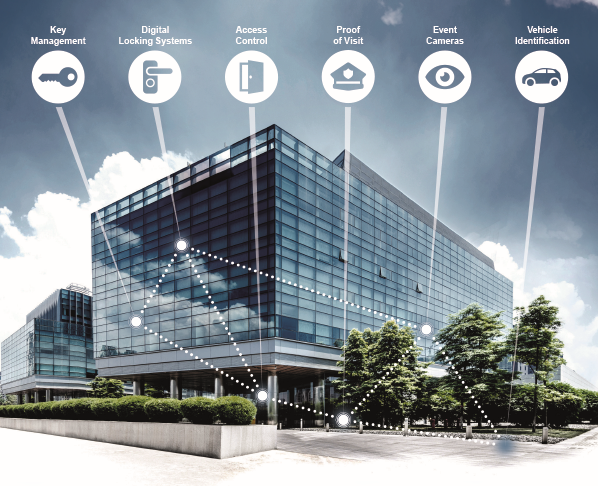 What can deister solutions do for facilities management? When using our software, you will have auditable data on the solutions usage. This could help you to find areas of personnel’s time that are being used ineffectively. Improving your facilities security measures such as accessing key entry points will financially benefit your client and you in turn. Using automated systems removes the need for personnel to monitor the issuing and return of keys or equipment and allowing their time to be spent more effectively. Each individual facility may have different access control systems in place, but there will often be many keys for accessing plantrooms, individual control panels and bypassing electronic systems in case of emergency. As an FM you take responsibility for these keys so managing them effectively is important. The consequences of any misplaced, lost or stolen key whilst a security issue, also has financial and affects day-to-day operation. Electronic key management systems provide an auditable record of all key cabinet use, placing the accountability of the keys on the person who has them. The system runs automatically meaning staff whose time was spent managing keys can be used more efficiently. You can even assign one-time use pins to issue keys to ad-hoc sub-contractors. If you want to set an overall positive impression and meet your clients’ expectations, then managing the facilities vehicle entry points is just as important as managing inside the facility. Whether you have a staff car park, drop off/pick up point, a warehouse entrance or even manage a private car park facility, preventing unauthorised vehicles using them can be difficult. 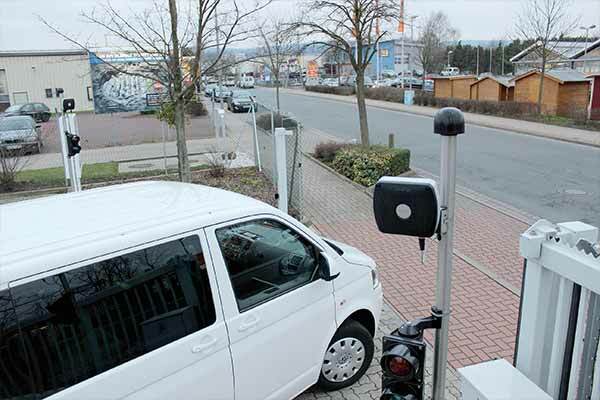 Our AVI solution means that only vehicles that have been issued tamper-proof windshield stickers or ISO cards will trigger the barrier or gate to open. The system logs the tags used to enter to provide you with auditable records of all vehicle entries. Whether you have electronics like laptops, made-to-order tools or equipment that requires a qualified user – keeping track of it all can be difficult. As an FM keeping assets secure and accessible prevents unnecessary costs and time lost by staff waiting. Smart storage lockers are used to provide a secure method of storing shared equipment whilst placing responsibility on the user. With the ability to control what individual users can access, you can ensure equipment is only used by those who are authorised. For electrical items you can even integrate charging cables and distribute equipment, based upon which one has had the longest to charge.